You can be a smart consumer from the start by purchasing a used Chevrolet Cruze instead of a new one. It's a fantastic way to avoid massive depreciation and get into a gorgeous, tech filled sedan that is budget-friendly. Jim Norton Chevrolet in Broken Arrow, OK, serving Tulsa, Tulsa County and Wagoner County, offers a large selection of used Chevy Cruzes for you to test drive. Our staff will make you an amazing deal, discounting this sporty car even further than you can imagine, and you'll be driving off in a used Chevrolet Cruze in no time! You won't be wanting for standard equipment on a used Chevy Cruze because you'll find so many of them. A used Cruze will feature an Inline 4-cylinder engine with either a six-speed manual or automatic transmission, 10 airbags, ABS brakes, air conditioning, power mirrors, power windows and power door locks, an AM/FM/CD audio system with radio data, and remote keyless entry. 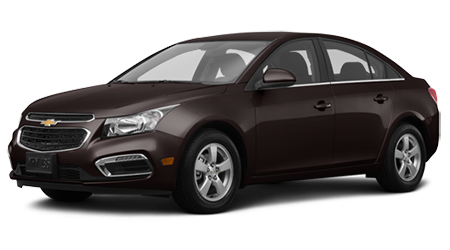 Many used Chevy Cruzes can also be found with Bluetooth and safety tech. Gain more peace of mind when you purchase a used Chevrolet Cruze by buying a Certified Pre-owned (CPO) Cruze. Before we sell them at Jim Norton Ford, they must meet high standards, including being from 2009 or newer with less than 75,000 miles on the odometer. Factory-trained technicians then perform a 172-point inspection using only genuine Chevy replacement parts. A used Cruze must also contain a CARFAX vehicle history report which will ensure no major issues with the vehicle, giving you even more confidence in a CPO Cruze. A fantastic warranty backs every Certified Pre-Owned Cruze, including a 5-year/100,000 powertrain warranty, 12-month/12,000 mile basic warranty, plus the added bonus of Chevrolet's amazing 2-year/24,000 mile scheduled maintenance plan! You'll also get a 3-day/150 mile satisfaction guarantee, so if for some reason you're not pleased with your CPO Cruze, you can exchange if for another car. Another added benefit is the 3-month free trial to SiriusXM and Onstar Directions and Connections that accompanies each appropriately equipped CPO Cruze! You can walk into Jim Norton Chevrolet with complete confidence in your financing options by getting pre-approved online. Our short, safe credit app is simple to fill out, and you'll know your results before you buy. And even if you have bad credit, our Finance team will work with one of our dozes of lenders to ensure we can get you into the loan for the used Cruze you want. You'll be the envy of your BFFs when you pick them up for a night on the town in Tulsa, Tulsa County or Wagoner County in a your new pre-owned Chevy Cruze. So head over to Jim Norton Chevrolet today, and let's make it happen!